2092 Montreat Cir #2092, Vestavia Hills, AL.| MLS# 838921 | Richard Jacks UABLIVING.com 205-910-2297 | Birmingham AL Real Estate | Contact us to request more information about our Homes for Sale in the Birmingham AL area. Imagine a place where the comforts of home, the recreational lifestyle & optimal location are all matched with affordability. 2092 Montreat Cir. 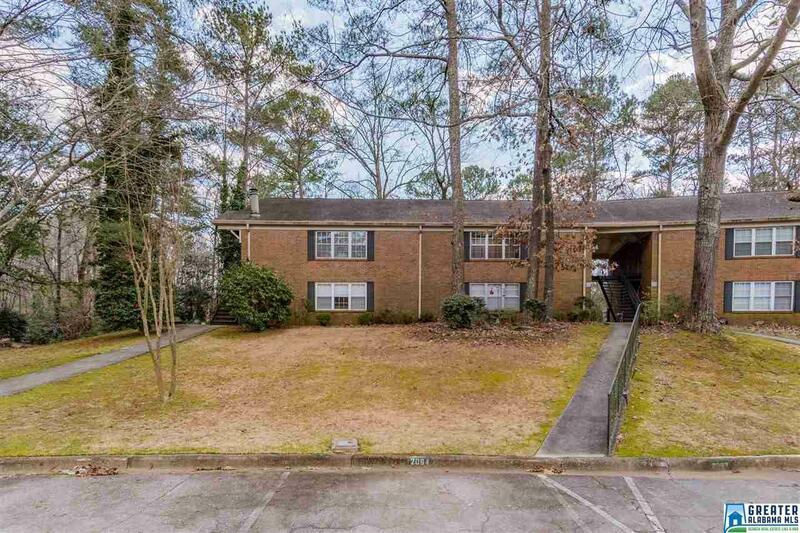 is located in the Montreat Condominium association in Vestavia hills. Unit features 2 Bedrooms, 1 Master Bath, 1 updated Hall Bath, Living/Dining Room, & Kitchen, with comfortably sized closets & built-in shelving. Carpeted & painted with neutral colors, condo is move-in ready. The association has two pools & a tennis court for your time off & you couldn&apos;t ask for a better location. Montreat Condo&apos;s is minutes from Downtown Birmingham, Vestavia Schools, Homewood, Hoover, the Summit Lifestyles Shopping Center & some of the best restaurants in the Greater Birmingham Alabama area. The HOA fees include; termite bond, garbage, common grounds maintenance, common building insurance, rec facilities & water/sewer services. Utilize the best of condominium living & set an appointment to tour this gem before its gone. Driving Directions: From Hwy 31, Turn On Montreat Dr., Right On Montreat Cir., Right Around Montreat Cir. To 2092.